With online fashion store The Thread Theory’s new collection of pretty dresses, you don’t even have to leave the house to get the gown of your dreams! 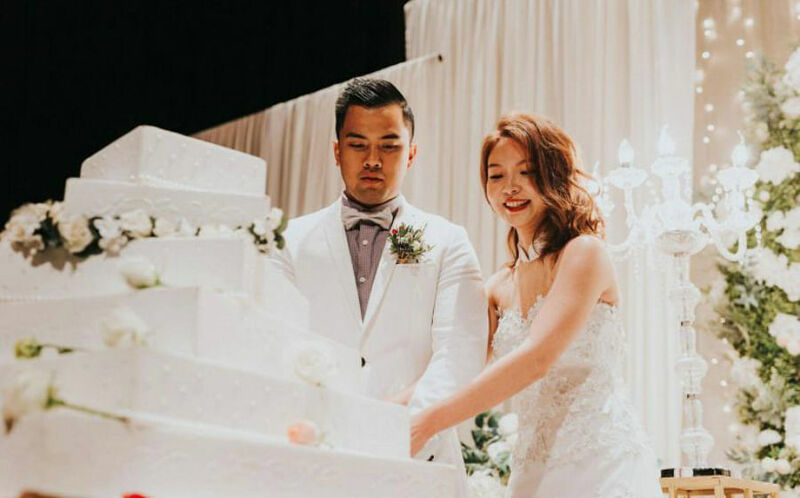 Known for its gorgeous locally designed bridal fashion, online label The Thread Theory has launched a brand new line of wedding dresses that are affordably priced from $288 to $388. You won’t find overly grand or opulent gowns here; this is for the modern, fuss-free bride who prefers a more relaxed and understated style. While silhouettes are kept clean, there’s no skimping on quality and detail – think intricately sequinned embellishments and layers of soft tulle. We love the spaghetti-strap tulle number with artfully embellished sequins that’s perfect for a romantic ROM ceremony or sophisticated evening reception. There’s also one with top-to-toe sequins in elaborate motifs for a more glamorous soiree. When it comes to online shopping, there’s always the issue of fit. Sometimes, it can lead to ill-fitting buys. When it comes to your big day though, you’ll want your dress to be impeccable. The folks at The Thread Theory totally get that. 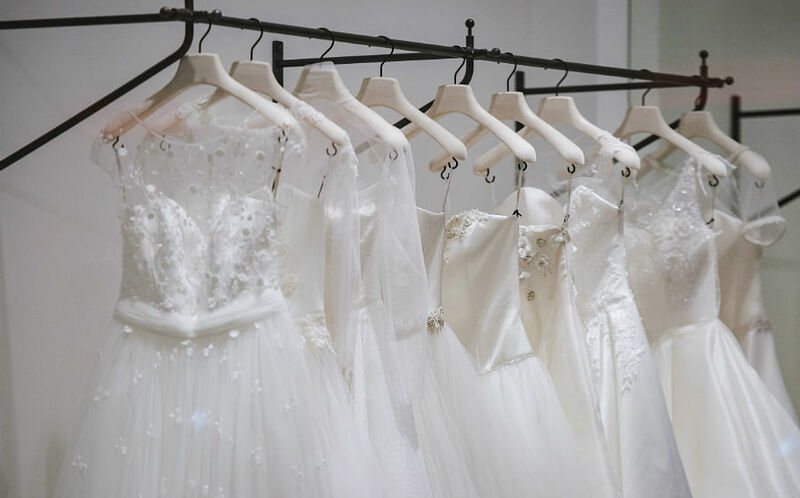 That’s why, aside from the helpful guide with measurements of the various sizes available (XS to XL), brides-to-be can also book a fitting session to try on the gown before adding it to your virtual shopping cart. The Thread Theory has roped in local independent jewellery label Livlov Jewelry to create a range of nature inspired earrings using one-of-a-kind gemstones to complement its wedding gowns. Each pair of earrings is handcrafted and made to order in Livlov Jewelry’s studio. Now that you’ve got your bridal look sorted, how about an equally trendy wedding squad? 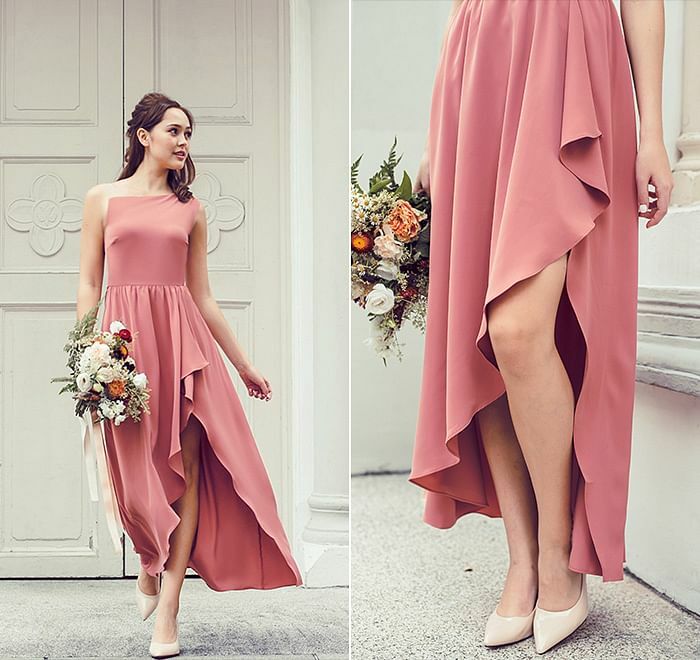 The Thread Theory’s latest collection of bridesmaid dresses range from designs bearing asymmetrical necklines with sheer straps (so chic!) to drapey pastel-coloured maxi dresses that can be worn in a multitude of lovely ways. One thing’s for sure, your friends will want to click “add to cart” ASAP. *A minimum spend of $100 applies. Valid till March 31, 2019. Not applicable with other promotions. To book an appointment, e-mail enquiry@thethreadtheory.com.